A flexible lens for telephoto shooting, the Nikon F-mount 100-400mm f/4.5-6.3 Di VC USD from Tamron spans a useful focal length range along with a lightweight design for even greater versatility. The lens's optical design incorporates three low dispersion elements to suppress color fringing and chromatic aberrations, while an eBAND coating has been applied to individual elements to reduce lens flare and ghosting for greater contrast and clarity. Complementing the optical design is a high-speed Ultrasonic Silent Drive autofocus system, which is benefitted by a dual MPU for quick and responsive performance. Vibration Compensation is also featured to minimize the appearance of camera shake for sharper handheld shooting. Suiting this 100-400's use outdoors, it's magnesium alloy construction is also weather-sealed for working in harsh environmental conditions. Spanning a versatile range of long focal lengths, this telephoto zoom is designed for full framed DSLRs, however can also be used with DX/APS-C models where it will provide a 150-600mm equivalent focal length range. Three LD (low dispersion) elements are used in the optical design to greatly reduce chromatic aberrations and color fringing for improved clarity and color accuracy throughout the zoom range. An eBAND coating has been applied to suppress ghosting and lens flare for improved contrast when working in backlit conditions. VC image stabilization helps to minimize the appearance of camera shake for more effective handheld shooting in difficult lighting conditions. An Ultrasonic Silent Drive (USD) autofocus motor delivers quick and precise focusing performance to suit working with moving subjects. This motor also affords full-time manual focus control, and it is possible to focus on subjects as close as 4.9' away. Dual Micro-Processing Unit control system contributes to quick and responsive performance for both the autofocus and Vibration Compensation systems. A sealed, dust- and moisture-resistant construction benefits this lens' use in inclement conditions, and a fluorine coating has also been applied to the front lens element to protect against dust, dirt, and smearing. Through the use of magnesium alloy components, the lens's physical design is both lightweight and durable. An optional removable rotating tripod collar is available, which features an Arca-type compatible foot and benefits working with the lens atop a tripod or monopod. Supports working with the optional Teleconverter 1.4x to further extend the effective focal length range to 140-560mm. Box Dimensions (LxWxH) 12.5 x 7.8 x 6.6"
We accept all major credit and Debt cards, PayPal is also offered as a payment option. All payments are fully encrpted so we will never see your card information. We also now accept Apple Pay and GPay to make checkout on mobiles even easier. Sometimes as a shopper you may change your mind, we understand this and offer a 14 Day returns Period. 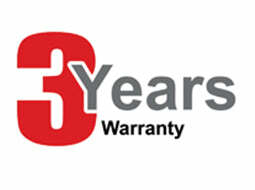 At Instashot, we provide a 3 year warranty on all of our items. 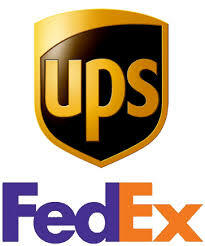 All Shipments are sent insured and fully tracked via reputable couriers such as UPS and Fedex.